Israeli Air Force planes. Photo: Reuters / Amir Cohen. The United States said on Wednesday it hoped Russia would continue to allow Israel to strike Iranian targets in Syria, despite Moscow’s supply of the S-300 air defense system to the Syrian government. “Russia has been permissive, in consultation with the Israelis, about Israeli strikes against Iranian targets inside Syria. We certainly hope that that permissive approach will continue,” Ambassador James Jeffrey, Washington’s Syria envoy, said in a conference call with reporters. Moscow said in October it had delivered the S-300 surface-to-air missiles to Syria, after accusing Israel of indirectly causing the downing of a Russian military jet by Syrian air defenses following an Israeli air strike nearby. Like Russia, Iran is a key military supporter of Syrian President Bashar al-Assad. 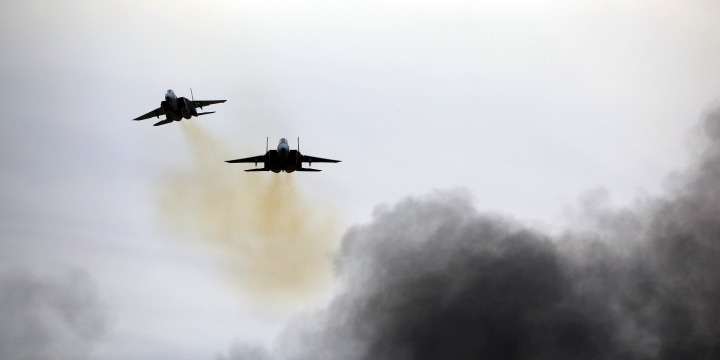 Israel regards the Islamic republic as its most dangerous enemy and has staged repeated air raids against its military and allied militia deployed in Syria. “Israel has an existential interest in blocking Iran from deploying long-range power projection systems … inside Syria to be used against Israel. We understand the existential interest and we support Israel,” Jeffrey said. The downing of the Russian jet in September underscored the risks attached to the presence of numerous foreign militaries operating in proximity in Syria, he added. US policy is to ensure the enduring defeat of Islamic State, work on a solution to the conflict under the terms of United Nations Security Council resolution 2254 and ensure all Iranian-commanded forces leave Syria entirely, he said. The United States seeks to regularize ceasefires now in place in Syria, move towards a political solution and then have all foreign forces that have entered the conflict since 2011 leave, except Russia. “The Russians, having been there before, would not in fact withdraw, but you’ve got four other outside military forces — the Israelis, the Turkish, the Iranian and the American — all operating inside Syria right now. It’s a dangerous situation,” Jeffrey said. Iran has said it will stay in Syria as long as Assad wants it to. Turkey has staged two incursions into northern Syria since 2016 aimed at curbing the role of Kurdish forces that the United States is supporting against Islamic State. Jeffrey said Washington took Turkish concerns about its support for the Kurdish fighters seriously. It had limited its weapons supply to the Kurdish-led Syrian Democratic Forces to light arms, something which had slowed recent operations against Islamic State, he said. Previous articleDating Forum: Is It Really Over?